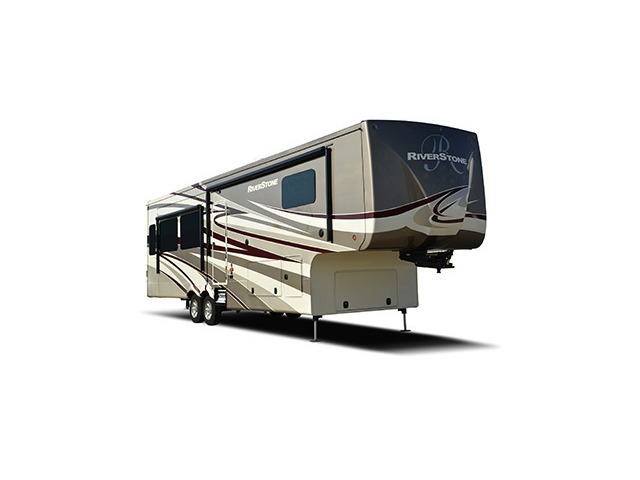 Riverstone Legacy Luxury Fifth Wheels are offering what luxury is and that is convenience. Riverstone Legacy has made almost every competitor's option a standard. After all, if your ready for a Riverstone Legacy Luxury Fifth Wheel then your ready for ultimate convenience. Dry Weight 14,223 lbs Pin Weight 3,108 lbs Overall Length 38' 2"
Dry Weight 16,249 lbs Pin Weight 3,204 lbs Overall Length 41' 9"
Dry Weight 16,261 lbs Pin Weight 3,075 lbs Overall Length 41' 7"
Dry Weight 16,781 lbs Pin Weight 3,030 lbs Overall Length 43' 2"